The Scheduled Content plugin allows you to make certain post or page content available only at scheduled periods. Once you have activated Scheduled Content plugin in Plugins > All you’ll see a nice new ‘Schedule’ icon added to your Visual editor. All you need to do is highlight the content then click on the ‘Schedule’ icon to set the date and time for the content to become available on any post or page. 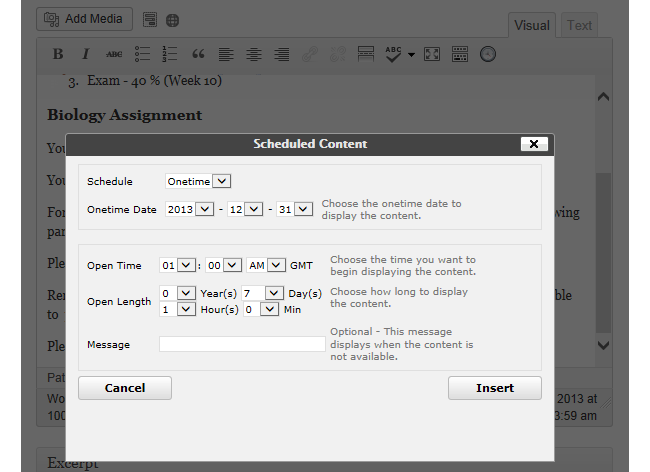 After you’ve entered the schedule it inserts a shortcode around your selected content. 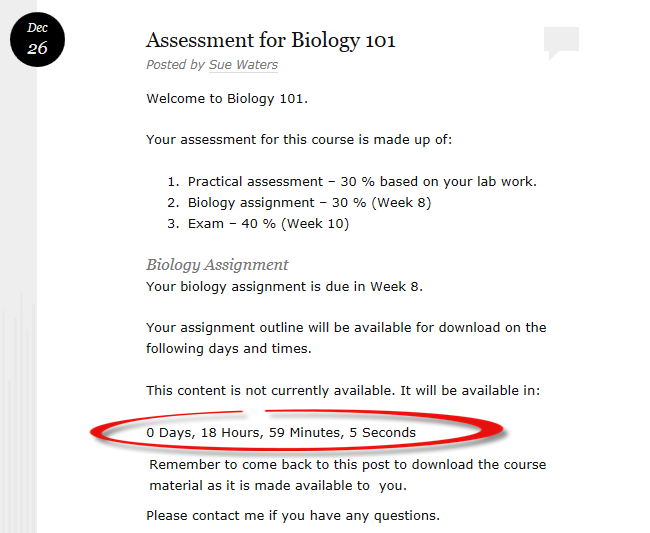 On your post you’ll see a countdown clock indicating when the content will be released.